Bulova 1939 Lady Bulova "E"
Found in my grandmothers house, unfortunately I know nothing of the history of the watch. It is in full working order. On the back it says '10k gold filled' and 'Bulova' with a shield symbol next to it. The shield was the only thing that I could see which may date it I couldn't find anything on the movement or any of the codes mentioned on the site so this could be wrong. LB "E" from me. Good find on the advert Jabs. Nice advert match. Lady Bulova 'E' it is. Hi dj, welcome to myBulova. You are most fortunate to have this wonderful keepsake of your grandmother. I'm a big fan of family heirlooms like this. 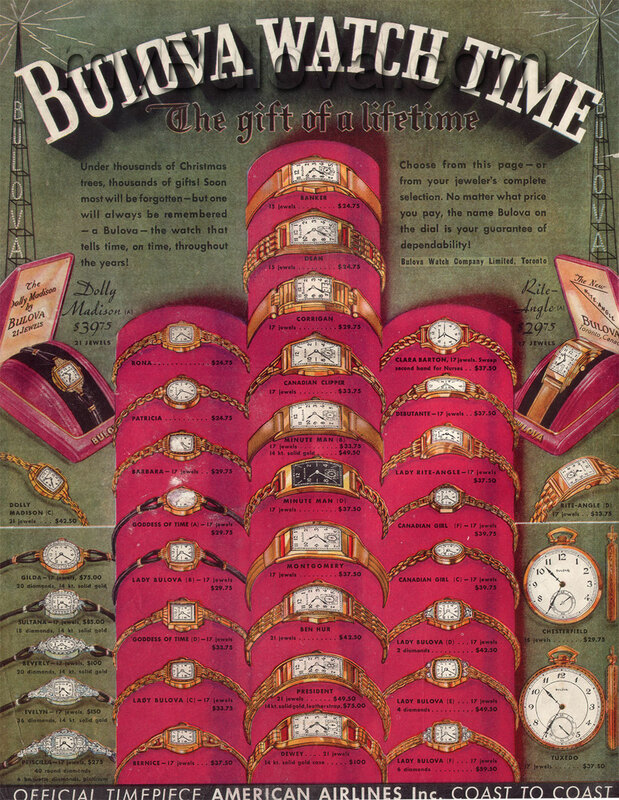 I agree that the D of your watch is Lady Bulova E. You can see from the advert jabs linked there were a couple variants of the Lady Bulova in 1939. Based on the case serial number, I suggest this might be a 1938 watch ( s/n begins with year = 8), the shield on the case is not a date code - Bulova didn't date code cases until 1948. There might be a date code on the movement but I can't see it in the photo. The watch is in very nice condition, it was treated well. Based on the present value of a 1938 dollar, this watch would be about $800 today. $50 was a lot of money in 1938! Looks like a match to me. Watch on right, 1939 ad on left.